Once you debark from your cruise ship you will begin your journey to Cairo. You tour begins with Giza where you will view the pyramids and the Sphinx. The tallest of the pyramids reside at Giza. The region of Giza is one of the largest burial grounds in Egypt and it is unknown how large it actually is. You will then travel to the Citadel, one of the world's greatest monuments to medieval warfare as well as a highly visible landmark on Cairo's eastern skyline. Originally used as a lookout, during the 12th century a fortress was built and there has been one ever since. Located within the Citadel is the tomb of Mohammad Ali built between 1830 and 1857. 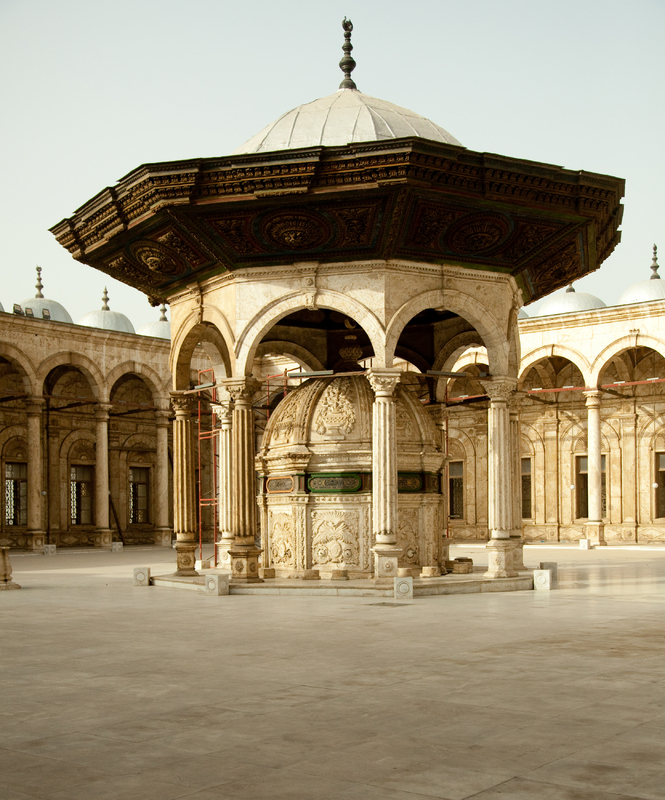 This is also known as the Alabaster Mosque due to the extensive use of the material. From the arcaded courtyard, you have a magnificent view across the city to the pyramids of Giza. After which there will be a break for lunch. Your next stop will be a felucca ride on the Nile. A felucca is a traditional Egyptian sailboat. They rely solely on the wind and have remained as dominate mode of transportation through the years. At the conclusion of your tour, you will be transported back to your cruise ship. Remember to bring your camera. Beverages are not included in the restaurants Not included in your tour: tips and entrance to the solar boat museum and mummy room. The drive to Cairo is approximately three hours each way.